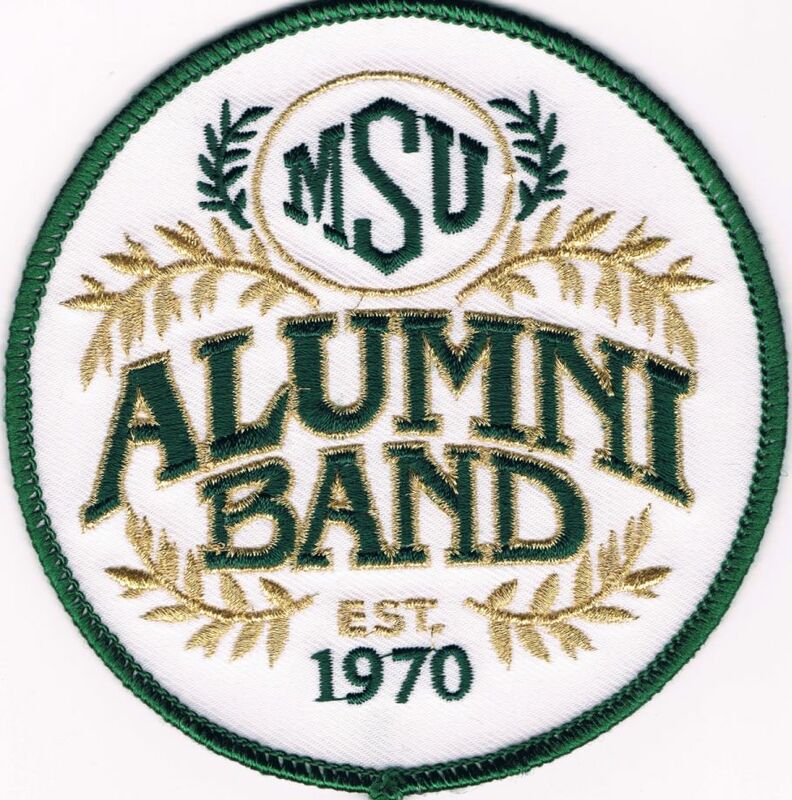 The Alumni Band jacket patch (similar to the section patch from the SMB) is available to members by writing or calling the Alumni Band. Patches are $8.00 each (includes mailing). A check can be made out to the MSU Alumni Band, and sent to 1850 Snyder Rd., East Lansing, MI 48823. 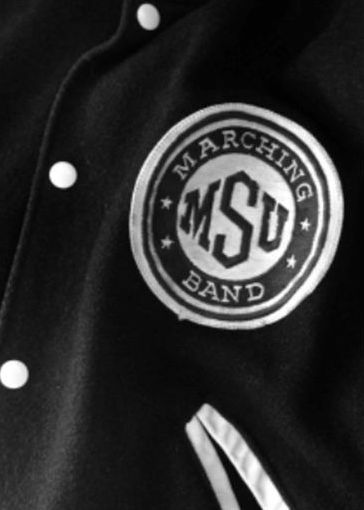 Placing the patch on the band jacket will follow the rules for patches as detailed in the SMB handbook – those directions will come with the patch. Alumni may request a replacement for their band jacket only through the Band office in the Music Building. The request must be approved by the Director of the Spartan Marching Band. The Band office is located at 116 Music Building, and may be reached at 517-355-7654. You may reach us with your questions and comments by sending an email to alumband@msu.edu, or by calling the Alumni Band phone at 517-351-4582.